Jonathan Dee’s The Locals features a character fleeing New York for a small town in New England just after 9/11. Hedge fund manager Phillip Hadi employs Mark Firth, recently swindled by his financial advisor, to make his new home secure. These two men are from very different worlds: one rural middle class, the other urban and wealthy. Hadi’s election to mayor has a transforming effect on Firth’s home town, one that will have implications for Firth and his extended family. 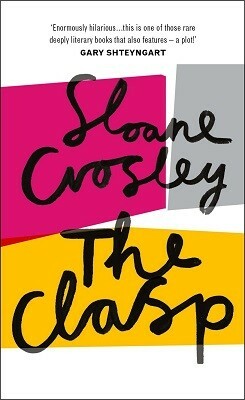 ‘The Locals is that rare work of fiction capable of capturing a fraught American moment in real time. It is also a novel that is timeless in its depiction of American small town life’ say the publishers which sounds very appealing to me. After beginning this short preview with a debut it feels fitting to end it with a collection from an author whose first novel was published in 1964 when she was twenty and who’s still going strong. 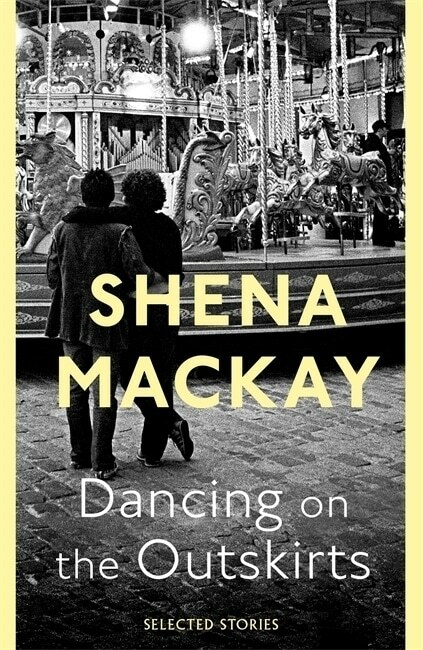 Shena Mackay’s short story collection Dancing on the Outskirts draws on five decades of writing. Known for her darkly comic, sometimes surreal observations of suburbia, Mackay is one of those writers who has quietly garnered a loyal following and a good deal of a critical acclaim. I’m expecting a treat. This entry was posted in Random thoughts, Reviews and tagged Dancing on the Outskirts, Jonathan Dee, Laurie Canciani, Paperbacks published in November 2018, Sarah Françoise, Shena Mackay, Stories We Tell Ourselves, The Insomnia Museum, The Locals on 29 October 2018 by Susan Osborne. Lorna Gibb’s A Ghost’s Story is just the sort of title publishers bring out for Christmas. Often they’re to be avoided like the plague but Gibb’s novel sounds intriguing. The Katie King spirit was famous in the 19th and 20th centuries for her appearances at séances and this is her fictionalised autobiography, ‘an examination of belief and a spectacular insight into what lies on the other side’, apparently. It’s also the story of a scholar who attempts to understand the Katie phenomenon. If Gibb manages to pull it off this could be a wonderfully original novel. We’ll see. 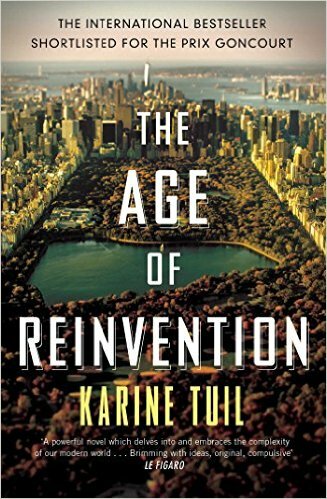 In Karine Tuil’s The Age of Reinvention successful Manhattan attorney Sam Tahar has built his life on a lie. The son of a Tunisian living in Paris, Tahar threw off his impoverished background making friends with a Jewish student at law school until they both conceived a passion for the same woman. When Nina chose Samuel, Tahar took off for America assuming Samuel’s identity. Many years later the three meet again with disastrous consequences. Tuil’s novel was a Prix Goncourt finalist and sounds well worth a look. Set in Copenhagen just before the 2008 crash Martin Kongstad’s Am I Cold follows food critic Mikkel Vallin. Divorced, deserted by his girlfriend, sacked and unhappily middle-aged, he’s sworn off fidelity and his new girlfriend agrees. All seems fine and dandy until Vallin thinks he may be falling in love. Kongstad’s ‘debut turns the last, glorious, debauched days of pre-crash decadence into a wild satire of modern life’ say his publishers and if it lives up to that billing it could be very entertaining. Having said so many times that I’m not a short story fan, here I am again including another set. This one’s from Shena Mackay many of whose novels I’ve enjoyed, particularly The Orchard on Fire which was shortlisted for the Booker way back in 1996. Her settings are often suburban, sometimes surreal and she has a fine line in dark humour all of which makes this collection something to look forward to. That’s it for November hardbacks. As ever a click on a title will take you to a more substantial synopsis, and if you’d like to catch up with part one it’s here. This entry was posted in Random thoughts and tagged A Ghost's Story, Am I Cold, Books published in November 2015, Dancing on the Outskirts, I Was Told There'd Be Cake, Karine Tuil, Lorna Gibb, Martin Kongstad, Sam Taylor, Saskia Vogel, Shena Mackay, Sloane Crosely, The Age of Reinvention, The Clasp on 19 October 2015 by Susan Osborne.